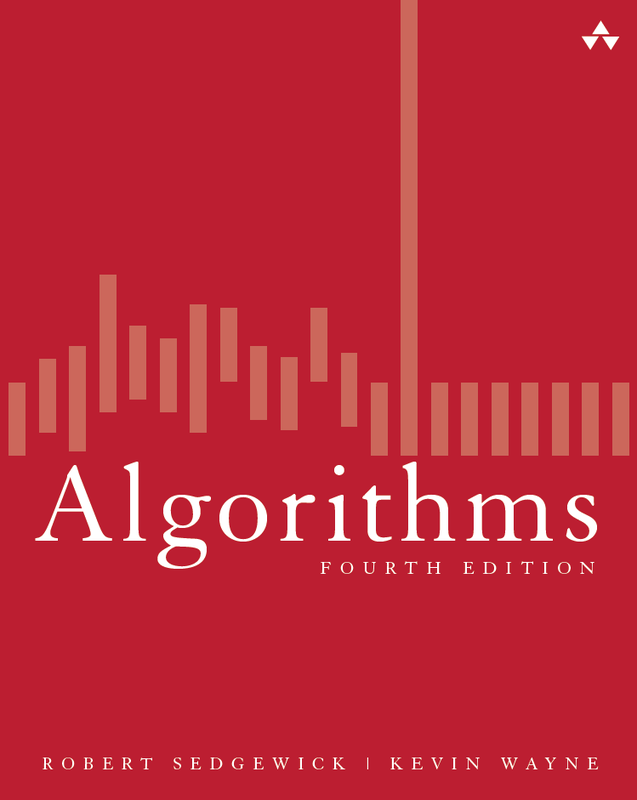 Chapter 1: Fundamentals introduces a scientific and engineering basis for comparing algorithms and making predictions. It also includes our programming model. Chapter 2: Sorting considers several classic sorting algorithms, including insertion sort, mergesort, and quicksort. It also features a binary heap implementation of a priority queue. Chapter 3: Searching describes several classic symbol-table implementations, including binary search trees, red–black trees, and hash tables. Chapter 4: Graphs surveys the most important graph-processing problems, including depth-first search, breadth-first search, minimum spanning trees, and shortest paths. Chapter 5: Strings investigates specialized algorithms for string processing, including radix sorting, substring search, tries, regular expressions, and data compression. 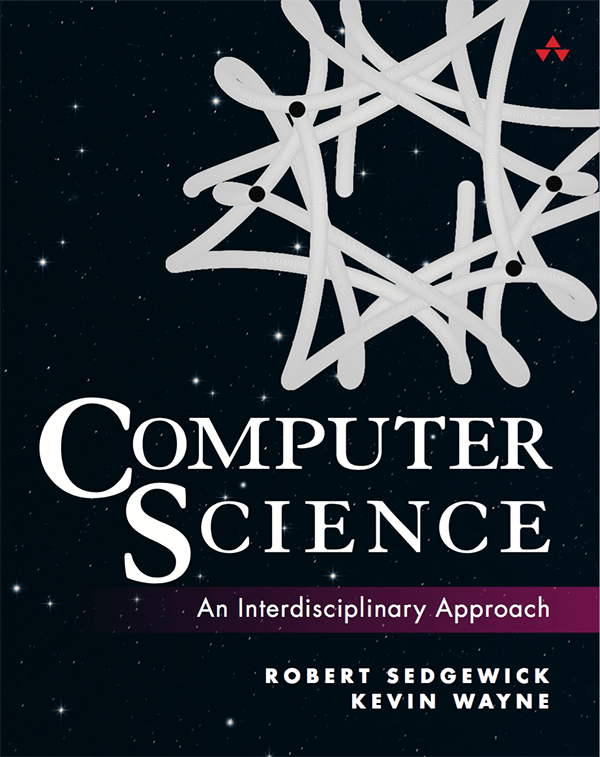 Chapter 6: Context highlights connections to systems programming, scientific computing, commercial applications, operations research, and intractability. Excerpts. A condensed version of the text narrative, for reference while online. Java code. 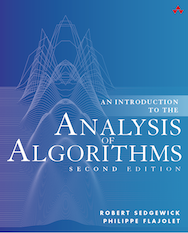 The algorithms and clients [ algs4 · github ] in this textbook. Exercise solutions. Solutions to selected exercises. Java. Here are instructions for setting up an IntelliJ-based Java programming environment for Mac OS X, Windows, and Linux. Lecture videos. The deluxe edition includes professionally produced lecture videos. Online course. You can take our free Coursera MOOCs Algorithms, Part I and Algorithms, Part II. To adopt. You can request an examination copy or ask the authors for more information. Here is the preface. ACM/IEEE cites COS 226 as a course exemplar in CS2013. Course materials. Lecture slides (in Keynote format) are available by request for instructors who adopt the textbook. Last modified on September 07, 2018.